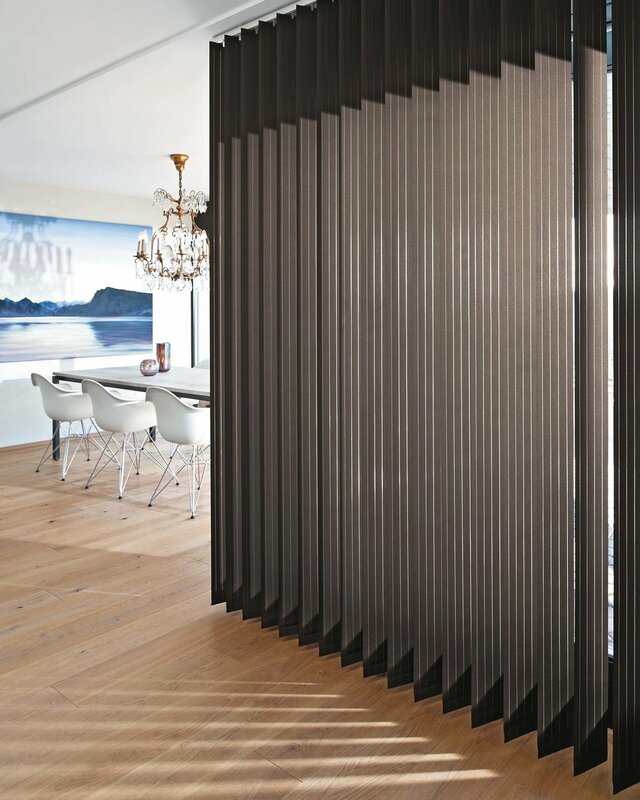 Our wide selection of indoor blinds will enable you to adjust and regulate daylight according to your taste as well as preserving your privacy. With their various textures and their refined shaping, folding and Roman blinds allow soft and perfectly distributed ambient lighting. Perfectly suitable for narrow windows. 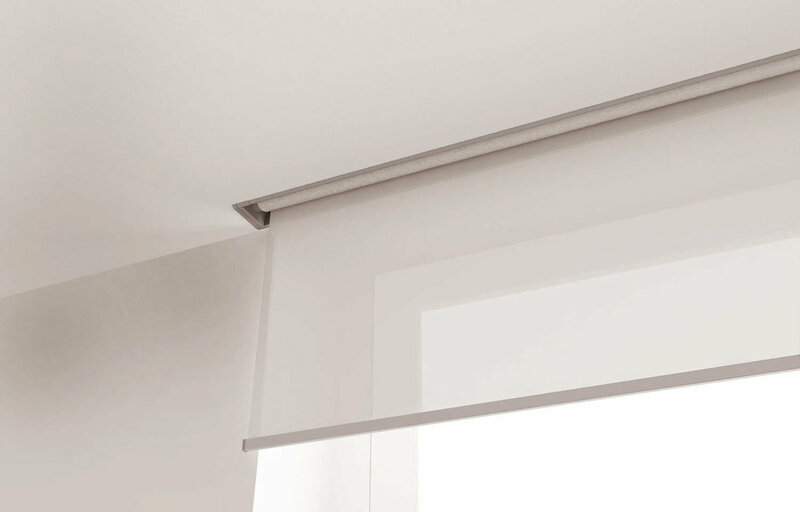 Roll-up blinds are functional and subtle solutions that require cautious finishing works. 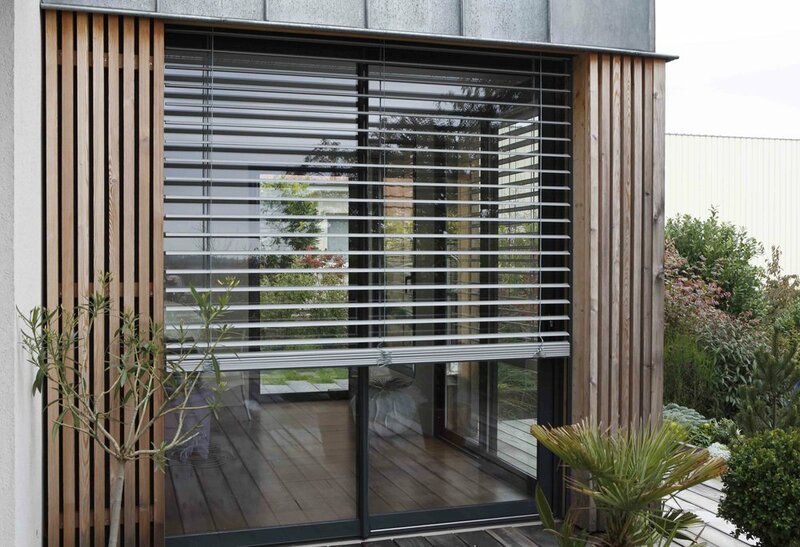 Fully bright or decreasing light, the blinds offer various possibilities of opening. Aluminum, wooden, frosted, leather or even Plexiglas our Venetian blinds gracefully sculpt light and allow a great variety of fine shades. For your high windows Californian blinds shape volume to expand your room and give it a classic and abstract dimension, as well as acting as an effective thermal protection. 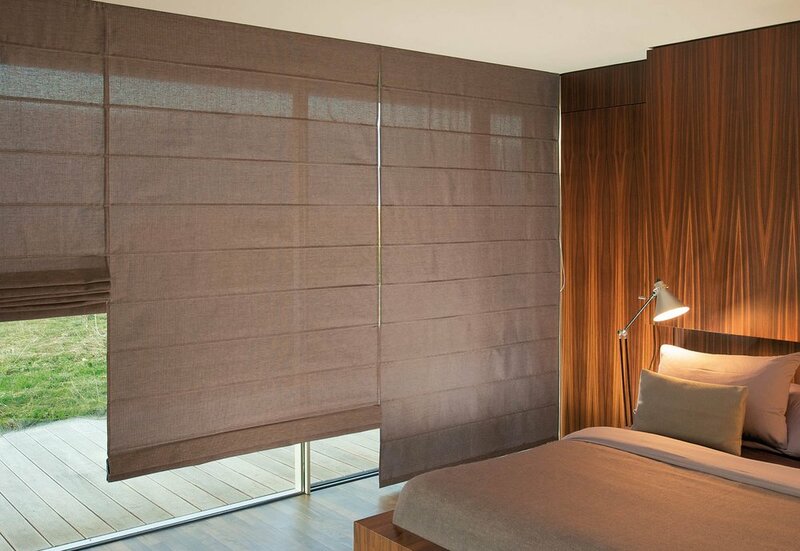 Wide bright hanging or sliding division, Japanese panels will bring a touch of Japanese composure into your home. As well as the luxury provided by the density of our fabrics, our blinds will adorn your windows with a great variety of patterns and colors. Our wide and elegant ranges of fabrics and shades are at your disposal, to satisfy all kinds of wishes and styles, classic and contemporary. Decorate your garden to fully enjoy your outdoor areas protected against sunlight exposure, wind and rain. New ranges of innovative and elegant products sublimate the surroundings of your house in order to create complete new living spaces. Patio awnings, pergolas, shade sails… each arrangement will bring the ultimate comfort and efficiently fit your needs. Manual, motor-driven or automated (wind, sun protection) with lightning, fogging system or sound modules… our selection of patio awnings, bacon or loggia products have been enriched with an important range of options for optimum resistance. Moreover, the specific treatment of our acrylic fabrics makes them perfectly waterproof and prevent their colors from fading with time and variable climatic conditions. Vertical blinds, External rolling, Venetian blinds, awnings or horizontal roller blinds: our most effective solutions for your windows to guarantee optimal light and thermal insulation. The pergolas and arbors (fixed, against the walls or freestanding, movable or not) stand as true extension of your house, café, restaurant or hotel since they easily and naturally adjust to every type of building and space. Their high-ranking, refined and modern outlines enhance your terrace without partitioning and make outdoor as comfortable and enjoyable as indoor.